This is probably the most important for sales and marketing alignment. When you get everyone in the same room together (or same online conference call), you encourage conversations to happen amongst all members of your sales and marketing teams. Have your sales team update the marketing team on their clients and leads. Your marketing team doesn't get the same sort of daily personal interaction, so they can provide a ton of valuable insight into the minds of your leads and customers. Establish a consistent monthly or bi-monthly meeting. 2. Align Sales Data with Marketing Messaging/Buyer Personas. Marketing collects a lot of data, but sales collects qualitative data that significantly contributes to buyer persona development. One of marketing’s greatest assets is the information that sales gets from their conversations with leads and customers. A lot of this data cannot always be collected via online behaviors. With those consumer insights, marketing takes this information to create targeted and relevant messages based on what they have learned from sales. 3. Give sales and marketing access to the same data. This is where technology comes into play. 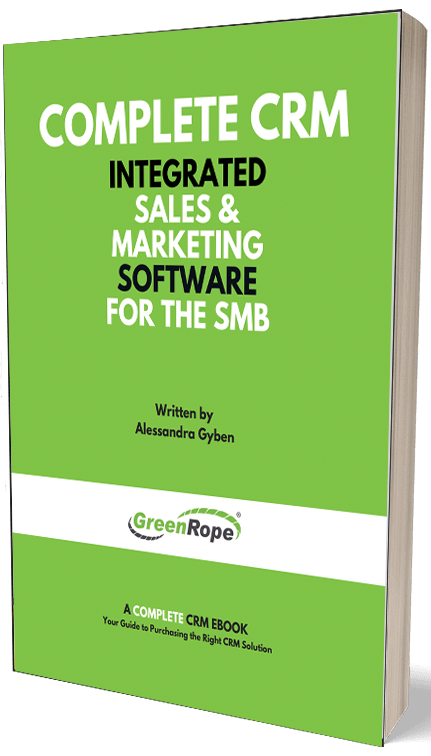 Both CRM and your marketing platform should be totally integrated. The data that marketing collects from emails opened, social, clicks, etc. should be made available to sales so they can see their contacts’ online behaviors, while marketing should have access to the customer data that sales collects. Marketing can use customer data such as location, name, interests, etc. to personalize and target their marketing messages. When the two are integrated, the process becomes seamless, organized, and effective. 4. Train each other on each department’s processes. Each department has a process and getting to know that process helps when it comes down to sales and marketing alignment. Marketing should understand how sales communicates with their leads and clients. How often do they follow up? Do they send them follow up emails with resources? This allows marketing to develop content at each stage of the funnel that sales can use to help close more deals. 5. Listen in on each other’s calls occasionally. Listening in on a sales demo or a sales follow up call gives marketing a sea of information about your leads. They will learn a lot about who the leads are, as well as their pain points, questions, what they are looking for, and much more. This is information that cannot always be collected through digital means. Sales can also gain insight into how marketing attracts and qualifies leads while listening in on a marketing call. This information gives sales people information on how and where leads are collected. The sharing of information only makes a company stronger and the strategies more cohesive. Sales and marketing alignment should never be a question. When companies start realizing the power these two departments have when combined, they will see a direct effect on revenue. Sales needs marketing as much as marketing needs sales for customer insights and relevant data that sales collects from interacting with leads and customers face-to-face. So, get your teams together, start sharing ideas, and come up with collaborative plans that will not only enhance the customer experience, but your overall company culture and environment at the same time.